I didn’t paint the background for this one. I cannibalized an old mono print. Still having a great time with this left hand painting stuff. Is it art? I don’t know. 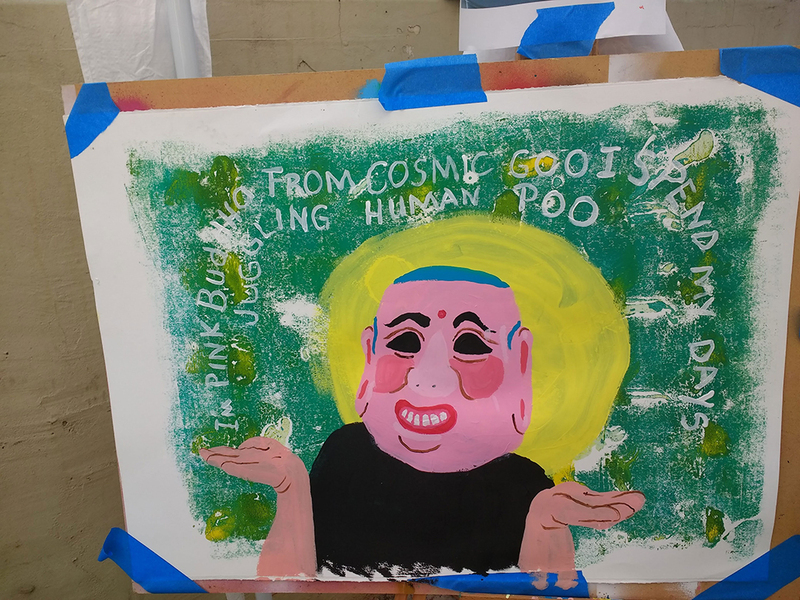 I don’t know that anything I create is actually art. Perhaps that is not for me to determine. I’m much more interested in where this journey is taking me, and what, if anything I’ll have to say as a right hand answer to all this painting. 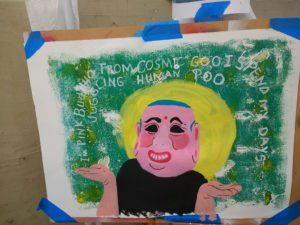 I’m Pink Buddha from cosmic goo, I spend my days juggling human poo. Not exactly eloquent, but that’s the Zen of PB.